Cobalt Shield Trophy. Comes in three different sizes. Note: Some items may have a minimum quantity less than stated below. Please contact us if you desire less than 5 of this item. Production lead time for this product is 9 days. This product must be ordered in quantity increments of 5. 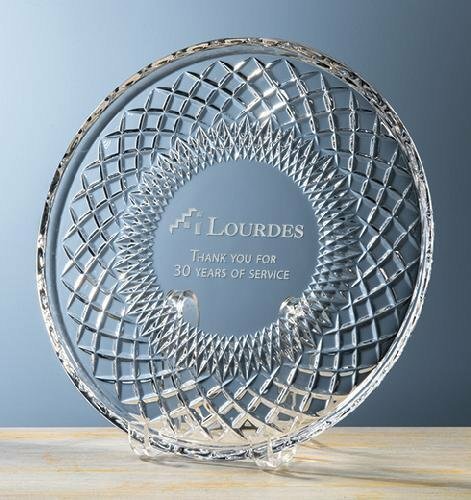 This majestic award is made of optical crystal with curved sides. 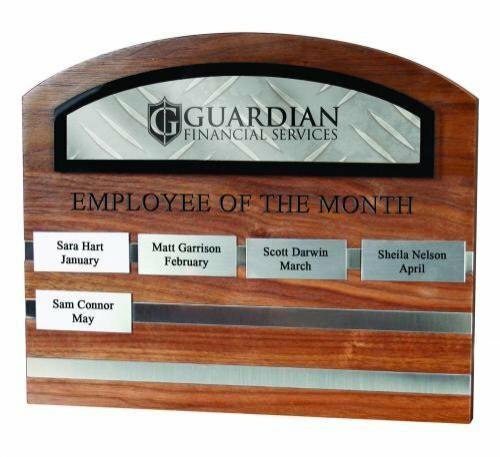 The Coburn Award comes to two separate points and has a spectacular black glass base. Your recipient will feel appreciated when receiving the Coburn Award! Your recipient will be thrilled with the gift of the Colin Cube. Available in three sizes, this gift is made of optical crystal and has attractive beveled edges for a sleek look. Customize your gift with an image of your choice or a special message. 3-1/8" x 3-1/8" x 3-1/8"
The Collier Trapezoid Cube is available in three sizes and can be displayed two ways. It can stand tall on the short end or lay flat on the long end. Use this award for a new logo or new product launch. 3" x 2-1/4" x 2-3/8"
3-3/8" x 2-5/8" x 2-3/4"
3-3/4" x 3" x 3-1/4"
The Color Iceberg makes a great fun gift, the colors illuminate through the white frosty iceberg with shades of the rainbow. With the option of reverse etching at the bottom or etching on the side, this gift will surely catch some attention. The Colter Circle is an elegant circle made from optical crystal. It rests flat on a crystal base with ends that curve inward. This gift is available in three sizes. The Nik Meller Collection of elegant premium grade optic crystal Awards are designed by International furniture designer and sculptor Nik Meller. The Columa Crystal Award promotes a radiant sculpture with strong features. A cobalt blue crystal cylinder on top followed by a clear crystal cylinder. A designer base with bevels and angled cuts makes this a unique piece. A flawless optical rectangle with reflective beveled edges combined with an optical globe creates a stunning award.